Painting miniatures take tremendous time and effort. If you are painting average size collection it will take 3-5 years to complete, but only if you can spend around 10 hours a week on regular basis. You’ll need to compromise on quality, just getting them done is hard enough. It’s hard to expect high quality with such strict time restraints. You’ll need to learn a lot before you get your miniatures right. It takes at least a year to learn and train basic stuff. Paining miniatures is like playing instrument, you can’t just read about it. You need to actually spend time doing it, a lot of time. You’ll need to organize your workshop. Which requires equipment, space and time. If you want to be a painter it’s great idea, but if you don’t it can be problematic. You can’t expect professional quality on home made miniatures. If you are persistent you’ll get decent miniatures, but only around half of them. Unfortunately, before you develop skill necessary to painting good you’ll need to paint a lot not-so-good miniatures. It takes around 500 work-hours to paint average sized army even for professional painters with skills, equipment and established workflow. Not everyone needs to be skillful painter. We offer Premium Painting Service with extended customer support. 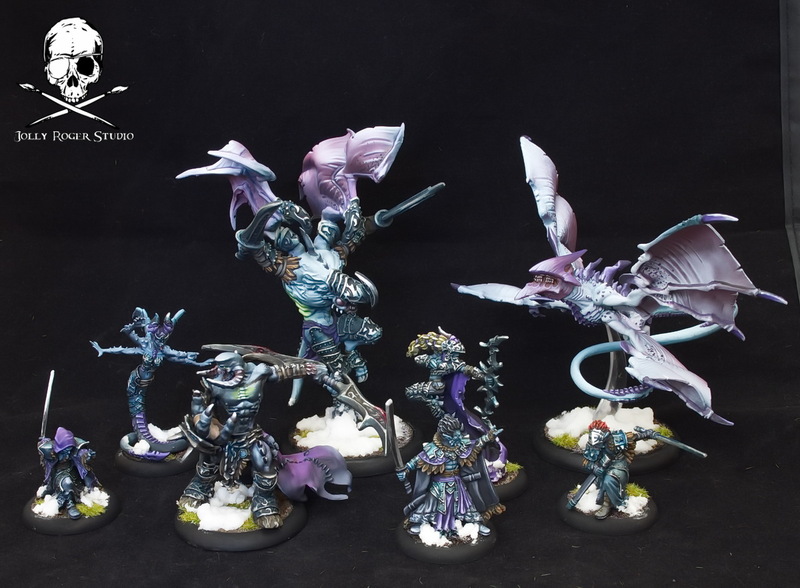 We’ll paint your miniatures on the professional level few times faster than you would. We’re flexible and we’ll do everything to make them look exactly the way you want. Don’t just take our word for it. You can check our gallery or painting levels comparison. Communication. I got answers when i asked questions during the wait time. Well painted and on theme. The detail for my miniature figure was amazing. Mateusz did an amazing job on painting my figure. I will definitely request him again. I would recommend it to anyone who wants a high quality paintjob with no fuss. Jolly Roger Studio is one of the highest quality painting studios in the world. I am 100% satisfied with the work they did. I got an Avatar of Menoth Conversion and it is absolutely beautiful. Everything was complete fast and great quality of work. The models were simply amazing! I could not be happier with JRS. That the models are very fine quality and enjoy how detail even the standard level models are painted.